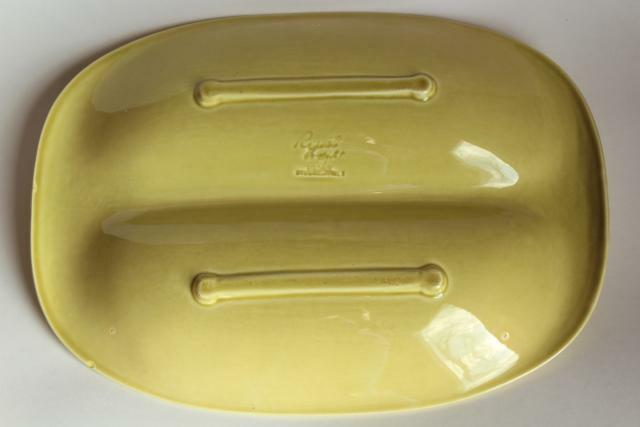 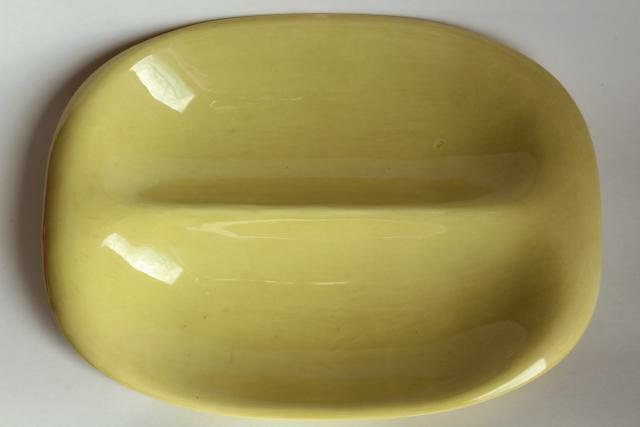 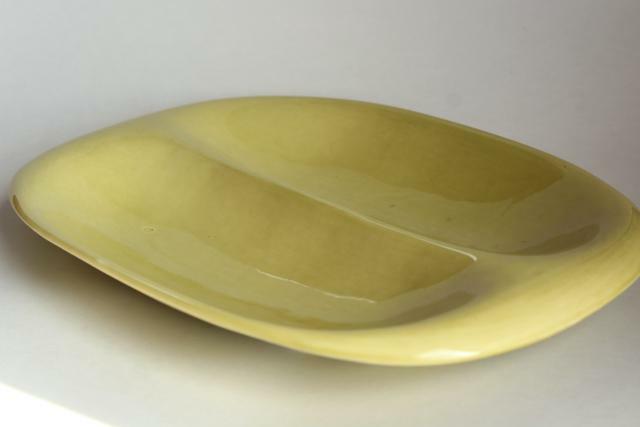 Mid-century vintage Russel Wright Steubenville oval veg bowl, a divided tray shaped shallow bowl measuring 13 1/2" x 9 3/4" overall. 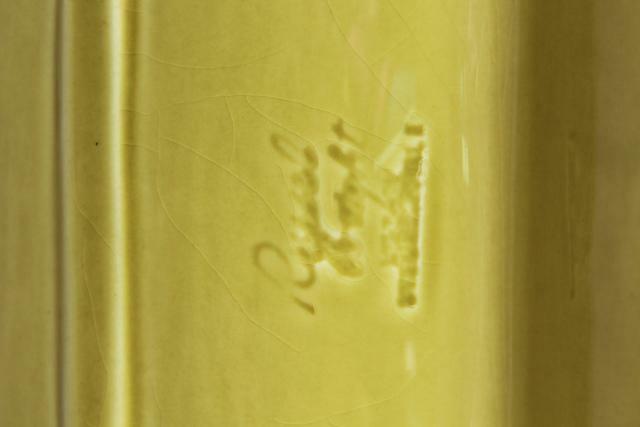 Color is chartreuse, I believe. 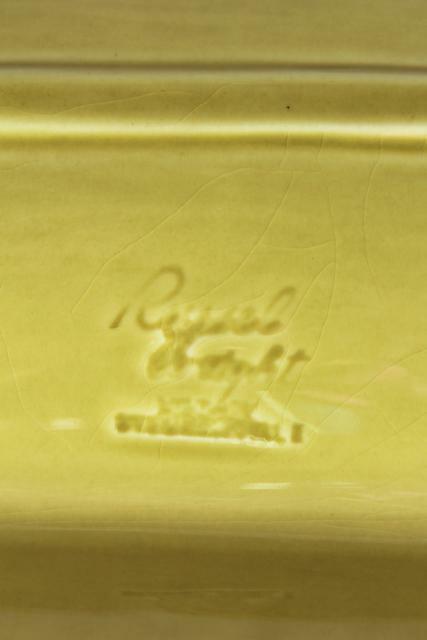 This has a colored chip to the underside of the rim, and a few crazing lines to the glaze. 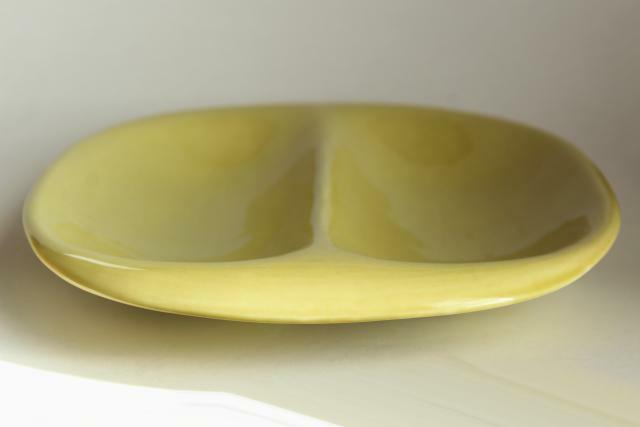 Not perfect, but a good piece to use and enjoy!